Create attractive and professional-looking documents—whether you’re at your desk or on the go. The latest versions of your essential Office applications, for one PC. Includes Outlook, to keep your home and work life organized. Followed on facebook & twitter. Thank you for hosting the blog and comp. I’d love to win this-I use Microsoft Office all the time, it’d be nice to have the updated one. Microsoft Office is always useful. Thanks for the opportunity! Thanks one more time to all Appfound Team, great giveaway !!! This is a great offer, I hope to be lucky! I’m looking forward to winning and using Microsoft Office 2013/Home and Business. Thanks for the chance. I could use this. Count me in! Great Prize that will be great with 5 in our home that use Office for a variety of reasons! Great giveaway, I hope it comes this way. would love to have a newer version of Microsoft Office on my laptop. This would be a lifesaver; to have all this access for making my documents/presentations look complete and professional would be wonderful! Great prize package … my fingers are crossed that I win! Que belo sorteio, quem dera que a sorte me sorrisse e fosse eu um dos sorteados. This is the best giveaway ever! Give me dream to own Microsoft Office Home & Business 2013! 🙂 Here’s links that I shared on Facebook and Twitter. I already am subscriber of AppFound.com. I could surely use this Microsoft Office . I do not have one is my computer. That would be wonderful to have. I follow on Facebook as Stephanied Bonck. Fantastic giveaway! Good luck everyone. I find it difficult to use my laptop without Microsoft Office. I have become so dependent on it. I used it for both business and personal use as well as for different voluntary positions I take in the community. Every computer should have Microsoft Office installed on it. Thanks so much for the chance to win this software package. I use Microsoft Office everyday. I like the features of Microsoft Office Home and Business 2013 . I subscribed to your newsletter and I followed you on FB as Jeannie Smyth and on Twitter as jasmyth10. This would come in very handy. Already subscribed to appfound newsletter: it’s where I heard about this offer! Great giveaway – I would love to win a copy! Excellent drawing, Thanks and good luck to all. What a terrific prize! Would love to have this for my office! Thanks for the chance! I so need Offie! thanks for the giveway! I really do need to get Microsoft office, First semester really was terrible! Notepad is not a very good substitute for class notes! Yes, thanks for the opportunity! Great contest and great soft. count me in! good one, thanks for the chance to win ! Yes, the best of giveaway. I’ve tried other word processing programs but nothing (and I mean NO-THING) compares to Microsoft Word! Find me at taughtbyjah@gmail.com and I also am following you on Facebook, Twitter & Google. Oh, yeah! Here hoping. My Outlook 2007 is showing its age. Oh, how I wish I could win this for my 50th birthday! What a wonderful giveaway, Office Home & Business 2013.. There are lots of similar program suites but Office is still the best suite of Office Tools..
Great! It’s the first time microsoft offers the giveaway. My new laptop doesn’t have Microsoft Office so I would love to win it. I would love to have this for my wifes new computer. Perfect for me to do homework for university! Please count me in. Thanks for giveaway opportunity. This product will be very useful. Thanks again for me to have a chance to win this. I would love to win this awesome giveaway.. I need the Microsoft.. I got the old version..
Wow, amazing gift for the lucky person who gets it! I hope I am the lucky one! Awesome one,wish to win one!!! Have been hoping for this bundle, so YES PLEASE. I have Liked and followed on twitter also. A superb giveaway – thanx a lot ! I’ll try my luck, so please count me in the prize drawing. Nothing has to be told about MS office, its the best office app. Super .Great software and fantastic giveaway . Thank you . Great giveaway. I could put this to good use ! Also following appfound on Twitter ! Really need to upgrade my office, this would be great! I really don’t believe it…are you giving away Microsoft office as free. I am eagerly waiting to get hands over it. I just subscribed. Thanks for the great giveaway! This a great giveaway for Windows 8. What a wonderful prize. We could really use this program. I could really use this for my computer which is very outdated. This would be a great win. Microsoft Office remains the most popular out there. Great giveaway! I would love to get a new Microsoft Office set! Very nice and count me in please ? All signed up! Thanks, great competition! Hope–Hope–Hope to win! Thanks for Giveaway!! Magnifique suite. Je croise les doigts. I need Microsoft Office. It is simply the best! Would love to win this!! Just got a new laptop and need this program. Would love this… I have an older version on my computer. Thx!!! thanks for this giveaway! wonderful! I’m a big fan of Microsoft products I would love to win this contest. Thank you Microsoft. I would love to have this software especially since I run my own home based business. Thanks so much for awesome giveaway! Sure I’d like to win the Office suite. I’m always surprised that new computers don’t come equipped with these office basics. Makes it hard to receive attachments! Thanks for the giveaway, sure would love to win! This would be an excellent prize for me, much appreciated by all. must-have soft – count me in! I currently do not have any applications on my Computer to make documents with due to my computer only having the basics – which did not include anything great like Microsoft Office Home & Business 2013. This would be fantastic! Hi please count me in i want to win this free copy!!! I would love to have a copy of Microsoft Word, Excel, and other Microsoft Office programs. Thanks! I really need this for my home office and son’s school project. I could really use this!! Good Luck everyone! Thanks !!! Great Giveaway !!! Pick me, pick me! Your next winner!!! Show me the money!!! It would be a dream come true & means more to me than anyone else to win. Starving artist here desperately needs the Mircosoft office to work & eat again. Winner, winnner. Chicken dinner. A life changing experience. Top of my bucket list. Thanks for the awesomeness, the contest, & generosity. Dear Santa: I’ve been nice. My X-Mas wish this year is to win this contest! For years I had Microsoft office/home but when I got my new laptop 2 years ago, it didn’t have it installed and I never did get it. Perhaps I will be lucky with this contest…thanks for the chance to win! I am following you on Facebook as Jeannette Naylor Laframboise. Thanks for latest office soft.Please count me in. Great contest. Would really help me in school. Office is the Microsoft’s best software. it’s a very good giveaway, I hope to be selected. Please count me in Good luck to all. I need a home office pak for my Work at home Job This would be wonderful to win! I need it!! Great giveaway! I follow you on Facebook: Diana Giselle SanForc. Thank you very much for this great opportunity to win. Looking forward to the possibilities! Thank you for the possibility. I love The work you guys put in! Great giveaway. This would be really useful. Hello. Thank you so much for such a great giveaway. Keep it up. Thanks for the chance to update my very outdated Microsoft Office! Keeping my fingers crossed. One of my children needs updated powerpoint for school. I feel so old. Paper and number two pencil for me. Designing web pages and powerpoint presentations for her. Great Giveaway, Thank You I really need this. Great Contest!! I would love to get a new version of office. Thanks. I followed on both twitter and Facebook but could not share it, don’t know what is the problem with my id. My twitter id is @sahoo_sajan and fb id is Facebook.com/sajan45. hope to win so that I will able use latest office pack. Another great giveaway! Count me in please! Wow! A full licence of office would be great! havent had this suite in awhile. looking forward to getting to know it again! Would love to have the future 2013. 2013 would be really awesome to win and useful. 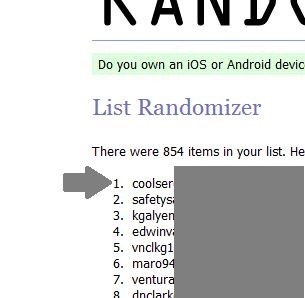 Thanks for a chance at a fanastic giveaway! Could really use this, would be perfect timing. So sorry, forgot link for proof of share…. Microsoft Office is great and to get the 2013 version will be fantastic! Please count me in too, thanks. I subscribed, and I’d love to have a newer version of Word, Excel, and Outlook. The 2013 versions do a lot more than the 2007 versions. Great giveaway, thank you for this offer. Thanks! that is a great offer! count me in! Count me in for this nice offer! fantastic giveaway! count me in please! Thanks for this giveaway. I need license. Count me in! Thank you very much! This is exactly what I need right now – really hoping to win! Thank you for this giveaway, count me. Awesome program, Count me in. 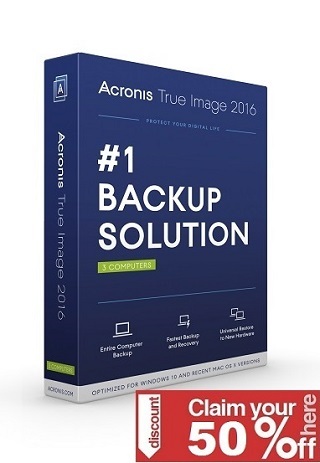 I’d like to win this latest software package since I am probably rusty and would like to stay up-to-date. This is awesome Giveaway. Please kindly to count me in too. Would really like to upgrade to this so I could work from home for our small business. I’m subscribed using the email address below 🙂 I’d love to win this for my partner! Great giveaway. I followed on Facebook. Nice give away…hope i will grab this…. https://twitter.com/jedgipson32/status/430749385316507648 -Followed and shared on twitter. than you for the giveaway. thanks! great offer! count me in! Hope to win … Thanks …. Awesome give away has been waiting for this ! Microsoft I love you !! Great giveaway! I could really use this. I wanna win this for my sisters’ computer. I would love to win this! Badly needed! Awesome giveaway – relying on OpenOffice at the moment! nice! thanks a lot! count me! Please consider me for this great and wonderful giveaway. thanks! I love this software! Thank you for this awesome giveaway! thanks! count me in! amazing! Would love to win this it would be very handy. This would be phenomenal to have!! Wonderful, functional and very handy in everyday work office suite! Thanks for the chance at winning what I really need. fantastic! count me in! very nice program! Nice software-like to have something like that. Sign me up please. Thanks for the opportunity to win this great software!!! Thanks for this giveaway drawing opportunity, Followed on Facebook. Thanks count me in on this giveaway. This is a beautiful wonderful giveaway. This is a great giveaway! I purchased Office 2010, but there are improvements in PowerPoint that make this program incredibly easy to use. That alone would be worth it for me to purchase it, but I don’t have the money. 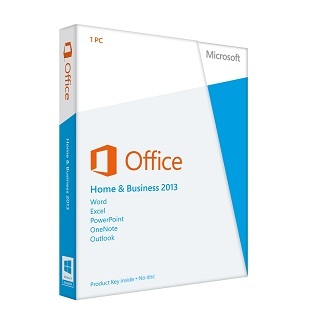 Great Software Contest going on right now at http://appfound.com/microsoft-office-home-business-2013-giveaway-2/ . Check it out! It might just get you hooked on retail software contests. There’s nothing like FREE! It would be a very nice upgrade to my Word Starter. Thank you. I want to win Office! Could really do with Office for my partner’s Phd . thanks! nice offer! count me in! Awesome giveaway.. Hoping to win it…. My share on FB and Twitter is given below. brought a laptop a couple of months and i never got office for it, so this giveaway would definitely come in handy. Hi, please count me in. I’ve subscribed allready! Thans for such a nice prize. Great prize! I would love to win it! This would be awesome to have for my home computer. Thanks for the chance. would love to win this please!!!!!!! Thank you Appfound for this fantastic contest. Really need this for my new laptop. Am lost without it!!! Great contest, I really like it. Thank you very much! thanks and count me in! very good! Could really do with this! Thanks so very much for such a wonderful giveaway I hope I am luck enough to win. count me in! thanks! great! Hi, I am subscribed 🙂 Good luck to everyone! Thank you AppFound for another fantastic contest. I subscribed to your newsletter. Thanks so much for the giveaway. Thanks. It will be helpful. I have been using the newer version of Office at work and it has greatly improved. I love the way Excel can screen shot any open window. Very useful. this would be really useful in a house that is very disorganised because of paperwork!! Wow, this is a very good Giveaway. completed all steps. hope to be winner. Would be great to have for the help it would give. I’m interested this giweaway, I look forward to the draw. Great software, really could do with winning gthis! Sorry – here is Tweet URL – forgot to add it to previous comment! Best office software.Please count me also. I subscribed to your newsletter. Thanks, I could really use this! I will try a first time. this sounds amazing, I cant wait to put it to use!! this is a fab giveaway, I really need office for my new laptop! Followed you on Facebook and Twitter. And I tweeted! Subscribed…thank you for the chance to win! Thank you for this awesome giveaway. Please count me in. I really hope I can win this! I’m in desperate need for the home business version! would be great win, only got basic office. I shared the giveaway via Pinterest. I tried several office suites, but Microsoft is the best. Please count me in this nice contest. Thank you. This is a fantastic competition! This would be of so much use! My son has just started A Level studies and this would be invaluable to him! Subscribed 🙂 This would be so useful! starting a business course in a few weeks time! Just what I need – this year I’m starting my own business! I have just purchased a 2nd hand laptop, which unfortunately doesn’t come with Microsoft Office. I really need this as I am a Microsoft Specialist, but cannot keep my skills up to date with Microsoft Office! Melanie Burton shared a link. I’m not lucky, but let’s try..
Wow what a great giveaway. Can I please be included for a chance to win? Please count me also in. Would love to win this, Microsoft Office would be my suite of choice! Thanks! That’s something! BTW, great site. Wow fingers crossed waiting for the reward! I totally would like to win this giveaway espically for my education. In my school most of the teachers require us to use microsoft word, microsoft powerpoint, or microsoft excel. I hope I get a chance so I don’t have to buy a subscribtion from Microsoft Office. I’m glad that I found this!! Good luck to everyone else! !